 A pair of ex-SEALs take on turncoats in the upper echelons of the US government, as well as a host of villainous foreigners, to bring an international arms trafficker to book: a diverting sea story from first-novelist Stevenson (whose forebears include the venturesome author of Treasure Island). Acting on a tip from Jennifer, the adoptive daughter of munitions merchant Eric Wilhelm Gerhardt, the CIA mounts a covert operation (code-named Torchlight), which puts Philip Drake and Jack Henderson inside the globetrotting Gerhardt's secretive organization. Hired by the organization for their scuba-diving skills, the Navy vets are detailed to recover $1 billion in gold that went down with a torpedoed American cruiser off Rhode Island during the late stages of WW I. Gerhardt needs the precious metal to finance a megabuck deal that would provide Iraq with contraband nuclear weapons to be smuggled out of cash-strapped Russia. 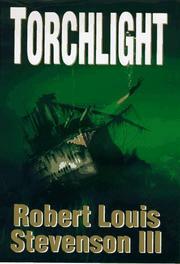 After some harrowing stints in the deep and treacherous waters where the sunken warship rests, Drake and Henderson succeed in locating the long-lost bullion. Unbeknownst to the undercover agents, however, their mission has been betrayed by the US President (whose shady political past makes him vulnerable to blackmail) and his venal National Security Advisor. Before they can sabotage the salvage effort, then, Drake and Henderson are forced to go on the lam with Jennifer in tow. When Gerhardt kidnaps his unfilial offspring (now the object of Drake's affections) and holds her captive aboard an oceangoing yacht, the apprehensive frogmen return to the scene of their unfinished business and, with a little help from straight- shooting officials in Washington, precipitate a hell-and-high-water showdown with Gerhardt's equally desperate forces. A consistently entertaining debut. The gripping undersea sequences offset the farfetched intrigues inside the Beltway, if only just barely.